Let me take this opportunity to wish you a happy and productive New Year. As you read this, I am back in India with our latest Relief Ride. I would like to share with all my friends, supporters and Relief Ride alumni some very exciting news. After six years of productive work in India, we at Relief Riders International are pleased to announce the expansion of our award-winning humanitarian travel program to Turkey. 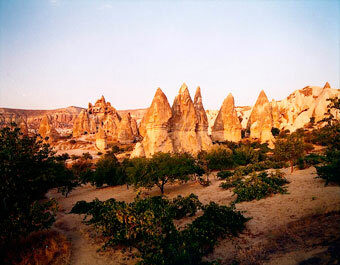 Beginning in June 2011, we'll be bringing our unique mix of adventure travel and medical and educational programs to the extraordinarily beautiful region of Cappadocia. It was humbling to receive the 2010 United Nations NGO Positive Peace Award for our work delivering aid to rural communities in India. You all know by now that our "Give the Gift of Sight", "Give a Goat" as well as our other medical and education programs have helped to transform the lives of many in the rural populations of Rajasthan, India. Now our first Relief Riders to Turkey will work with our medical, dental and educational advisors to develop and implement programs specifically adapted to the needs of the rural communities we visit in central Turkey. We are already thinking about creating some new programs, and we will be working closely with local officials and citizens in the Cappadocia region to build some community farming opportunities and children's playgrounds in towns that need them. 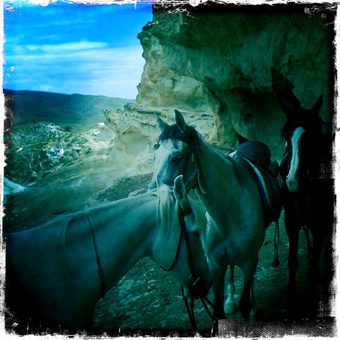 Located in the middle of Turkey, Cappadocia is known for its fine horses and its natural wonders. The high plateau of Anatolia, with its colorful river valleys, dramatic ravines, and volcanic peaks will serve as the backdrop to our Turkish journey. Riders will gather in Nevsehir, and then travel to Avanos, known for its handicrafts and fishing communities who work the Kizilirmak River. The first day's ride will take us on the hills along the Kizilirmak River (the Red River). In the days that follow, we will ride to Sarihan Caravanserai, a beautiful 13th century traveler's lodge on the Silk Road, where we will have tea with the Sufis. From there our route will take us to Mount Ziyaret where we will have views of Erciyes, the 13,000 ft high volcano and the vineyards below. We will camp near ancient cave dwellings along the Silk Road, and visit the Anatolian village of Sofular, where people still follow tradition and occupy cave houses. One of the highlights on the ride is the beautiful ancient village of Bayramhaci which overlooks the Akvadi Valley and is known for its hot springs. Along the way, riders will assist our team and medical professionals with educational programs and dental camps in the villages of Saridir, Bayramhaci, Karain and Sofular. While general medical care is far more advanced in Turkey than rural India, the lack of adequate dental care is clearly apparent. We will be providing both dental screenings and treatments to supplement the care villagers are currently receiving. 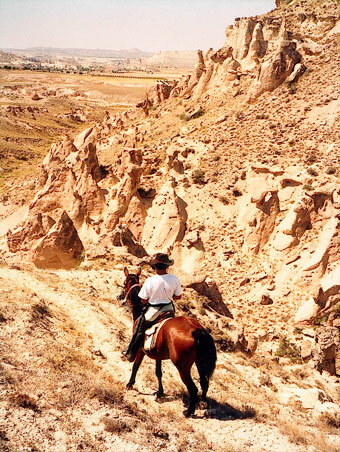 In addition to riding through some stunning terrain, we've incorporated a variety of activities that highlight some of what is unique to Turkey. 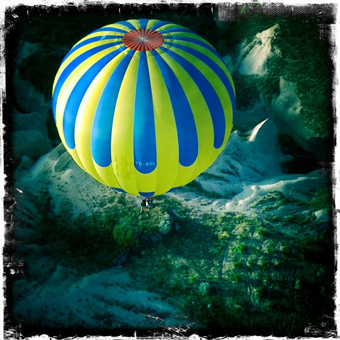 The Cappadocia region is a UNESCO World Heritage Site and riders will have the opportunity to take a hot air balloon to best appreciate the region's incredibly interesting rock formations known as "fairy chimneys." Receiving the UN Positive Peace Award has inspired us to do more and to explore how best to expand our humanitarian mission. 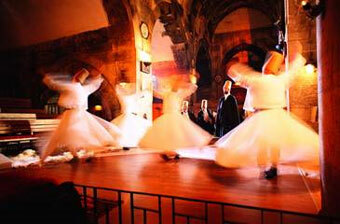 We are extremely please to take our work to Turkey in 2011. We hope you will join us. Please note that we are offering one ride to Turkey this summer limited to 12 riders. "Out beyond ideas of wrongdoing and right doing, there is a field. I will meet you there."